La Paz Regional has specialized rehabilitation beds that allow a patient to return to their community for skilled physical therapy following surgery, stroke or reconditioning following a lengthy illness. We accommodate post-surgical rehabilitation, enabling patients to recover close to home, where the will have their family and friends around them. We also offer inpatient stays for IV therapy and wound care including wound vacs and frequent dressing changes. This unique service prepares the patient to be more independent as they transition back home. Low staff-to-patient ratios, encouraged family involvement and skilled medical personnel make the recovery faster and more enjoyable. We can work with your physician and case manager to arrange for a smooth transfer. All the beds at La Paz Regional are licensed for skilled nursing in addition to acute care. What Will Skilled Nursing Services Cost Me? 2. For the next 80 days, co-pays will apply as long as the above conditions are still being met. Some supplemental insurance may cover your co-pays.The most important thing to remember is that you do not have 100 days unless you qualify and participate in skilled services on a daily basis during that 100 day period. You only have 100 days for an eligibility benefit period of 6 months. That means if you use all 100 eligible days in Skilled Nursing, you will not be eligible for Skilled Nursing services again until the beginning of the new eligibility benefit period. Most of our patients qualify for a stay of approximately one to three weeks. 3. Patients with private insurance or Medicare Advantage Programs as your primary payor, will need to have all services pre-approved. Who is Eligible for Skilled Nursing Services? • Must have spent 3 consecutive midnights in the hospital as an acute inpatient (not in observation status) within the past 30 days. 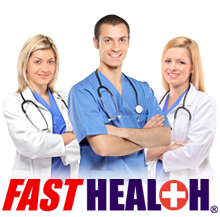 • The skilled service you need must be for the same condition as your acute stay in the hospital. • Must require service on a daily basis. Medicare has strict guidelines that you must adhere to before and during your stay if you are to be qualified for coverage. It is recommended that you speak with a Case Manager about your eligibility. You are within the 30 day window and still meet the above criteria. Once a week there will be a team meeting to discuss your progress and continue to formulate a plan for your continued stay. Patients and families are encouraged to attend. You are encouraged to report any pain to the nursing team to ensure successful pain management. If pain is inhibiting your participation in therapy, then you may need to be pre-medicated for pain prior to your rehabilitation session. If you are in another hospital, they will contact us for you and provide us with the necessary information so that we may determine if you are eligible for Post-Acute care, Skilled Nursing Care or Skilled Rehabilitation. 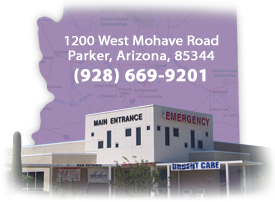 If you are at home and need services, contact your local physician or call the hospital and request to speak with the Case Management Department (928)669-7308.